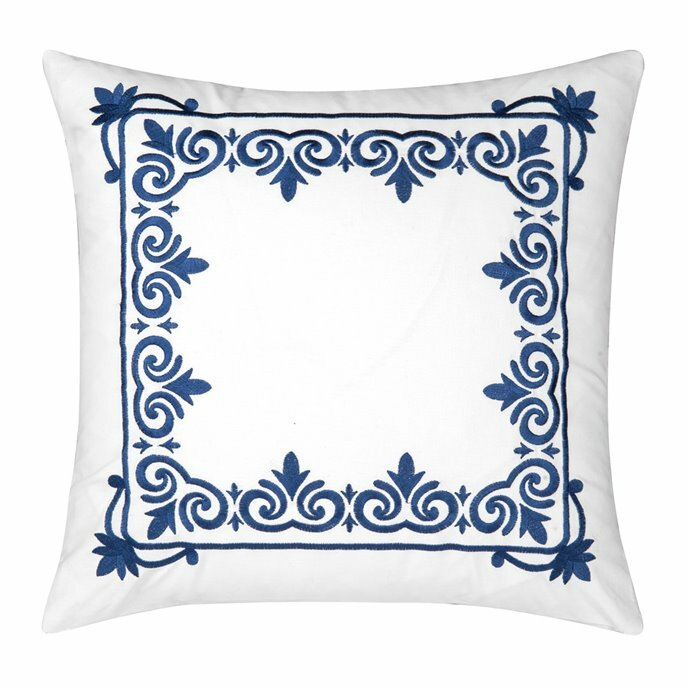 The Renee Framed Embroidered Pillow has a stylized flower bud design embroidered in blue on a white pillow. 18" x 18". Cotton cover, polyester fill. We offer the complete ensemble in the Renee pattern by C & F. Manufacturer's UPC code is 008246509622.